Joe Vitale is one of the best authors! 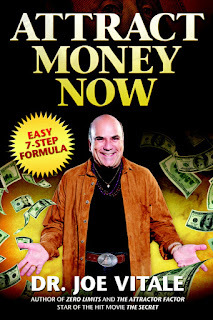 (In my opinion) He has a FREE PDF download on his website attractmoneynow.com You may have seen him in the movie "The Secret"
Attract Money Now I have my copy and it is excellent. Joe Vitale was once homeless and he wants to share with you some of what he has learned for free.